For most businesses, whether they are startups or established ones, wages are one of the major part of the costs. Most of the time, there is no helping that, because people are needed in running a business, but there are things that you can do in order to cut wage costs. No, we’re not talking about firing some employees and giving their work to the remaining ones, we’re talking about legitimate and sustainable ways. Outsourcing has become more common these days. There’s a reason behind its popularity. It guarantees that experts can work on a certain task and be more cost-effective. You do not have to hire a full-time employee in order to perform all of the tasks involved in running your business. Aspects of running your business like washroom maintenance and the cleaning of uniforms can be outsourced to trusted names like Alsco. It all starts with your hiring process. You need to pick the right people from the start. Choose those who are productive. It is not easy to know right away which applicant is productive but that means spending more time in the selection process. While you might end up paying the same amount to employees whether they are productive or not, you might be forced to hire more people if you employees are not very dynamic, so in the long run, it pays to spend the extra effort in picking the right people. Automating a process would, of course eliminate the need for a worker, or in some cases workers, handling it. While getting a machine can be costly, in most cases they can perform the work faster and handle the work of multiple employees and so would be more than worth its cost eventually. There are plenty of tools now that you can use in order to track wage costs. You should equip your business with those tools so you can have a clear picture of how much you are spending on wages. These tracking tools can allow you to predict how much you would have to spend on wages on the coming weeks. Once you have can predict your wage costs for the coming weeks using tracking tools, you can set a budget. The amount of time that employees would be working should be based on that budget. If more workers are needed on a certain day that should be offset by reducing the number of workers on other days where there is no rush. You have to be strict when it comes to following the budget. Time theft can be costing you a great deal without you even knowing it. When the controls are lax and the there are no effective monitors late or early sign-offs can become common. That means your business ends up paying for nothing. You should use more reliable methods for employee sign-ins like face recognition or finger scanning. With effective tools that you can use in tracking time effectively, you can save a great deal of money. You can use that money in order to save even more. Instead of just stashing away the amount, use that money to fund incentives. These incentives should be given to the most productive workers. The more quality work that you employees perform, the more your company can save on wage costs. A top reason why some workers are not as productive is because they don’t know how to perform their jobs properly. One of the best ways that this can be avoided is making sure that employees get proper training. If you hire a worker to do a certain process for your business and that worker does not receive the right training to perform that process, you might be forced to hire another worker. Not to mention the fact that you have to pay that person the same amount that you have to pay for someone who knows how to do his job properly. Avoid this scenario by providing in-depth training to all of your newly-hired employees. The cost of the training would be more than worth it in the long run. 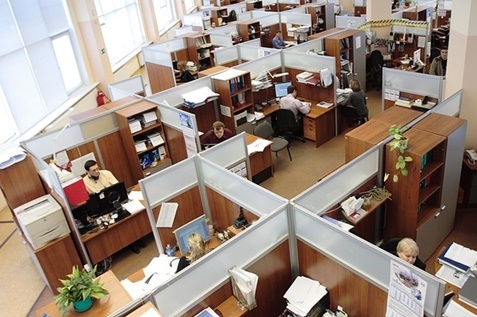 The layout of a workplace has an obvious effect on its output and productivity. This is most obvious in workplace involved in a manufacturing process where the layout determines the efficiency of the workers. But even in an office, the layout would have a direct effect on the productivity of workers. Remember that the more efficient and productive your workers are, the more that you can save on wage costs. You should forget about employee categories that are quite narrow and look for people who can take on more diversified roles. Don’t put workers in boxes where they are restricted in what they can do. Train them in different roles for your business and see how much more they can perform. You should not try to drastically cut down on your wage costs. It would always be one of the biggest costs of your business, but the ideas that we have listed here should put you on the right track. Get in touch with Alsco to learn more about our professional renting services to help you reduce cost, while you maximise your business’ full potentials.